Shania Twain was one of my favorite singers when I was in high school and still is to this day. She has not been out in the public until recently because of several reasons but recently she has been busy as a bee! She has a new book out that I am reading now, "From This Moment On." It is so good so far. She did have quite a hard life in the past but she is trying her best to better herself and move forward. I was so excited to hear that she wrote this book. 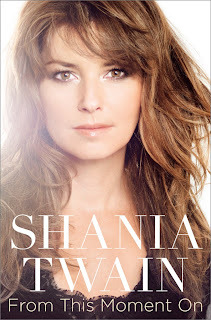 There is a series about Shania too called "Why Not? with Shania Twain." I have been watching that on OWN. Since reading part of the book and watching the show, I see Shania as a "normal person" rather than a famous celebrity, which she is a famous celebrity but she just seems so "real" if y'all know what I mean.